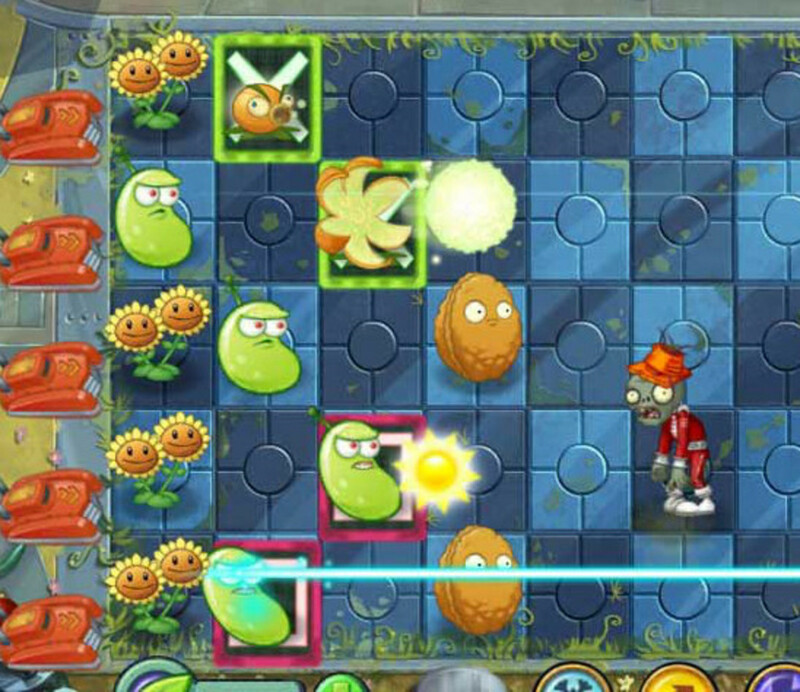 The Plants Vs Zombies series offers silly yet strategic approaches to defeating the undead. 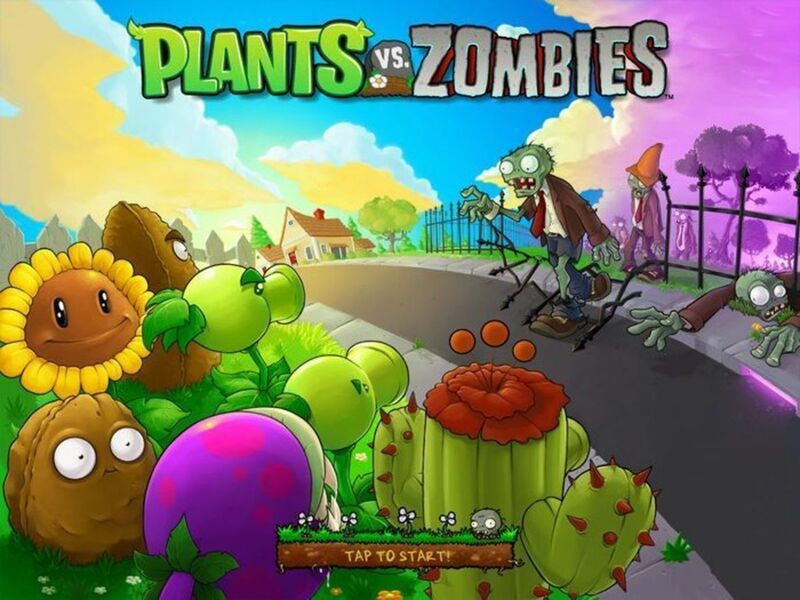 Players use a variety of plants to repel invading zombies. 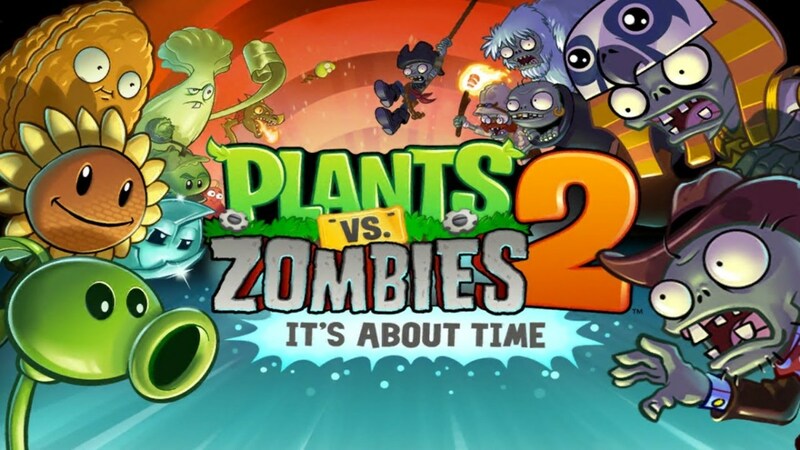 The first game dealt with day and nighttime, as well as roof combat, but the sequel, Plants Vs Zombies 2:It's About Time, takes us to many different worlds, each with their own quirks and enemies. 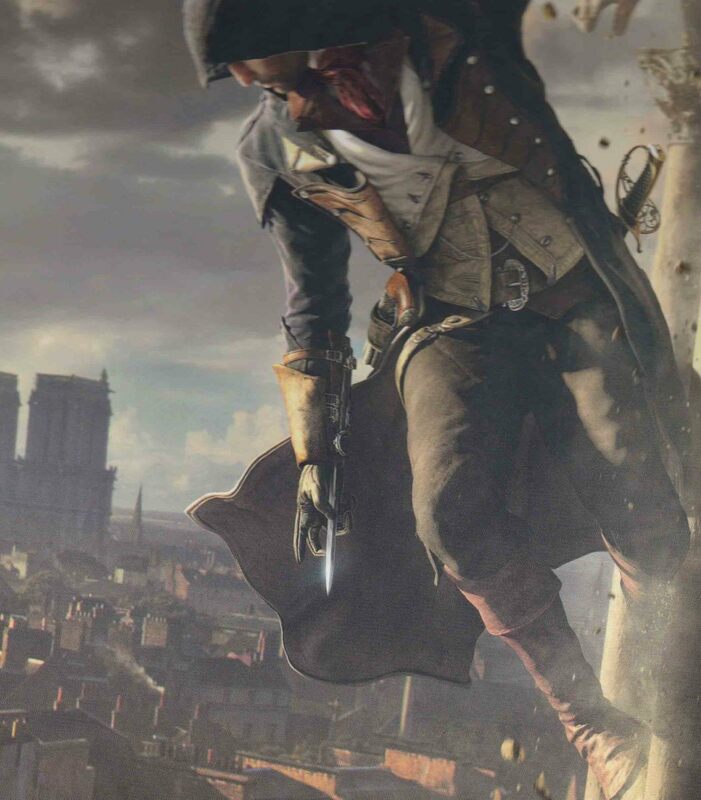 The sequel impresses by adding new places, plants, and enemies over time; we've already received many updates that keep bringing us back. Join me today as we review the pros and cons of each location, as well as some strategies for conquering them! 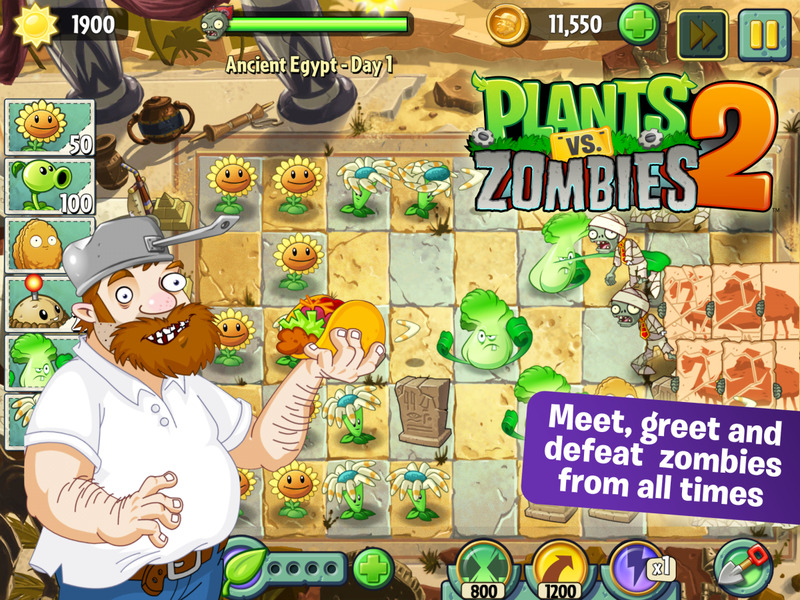 Notable enemies: Explorer Zombies, whose torch can burn through plants, and Pharaoh Zombies, whose sarcophagus offers additional health. As the first world players explore, you won't have many plants unlocked at this point. 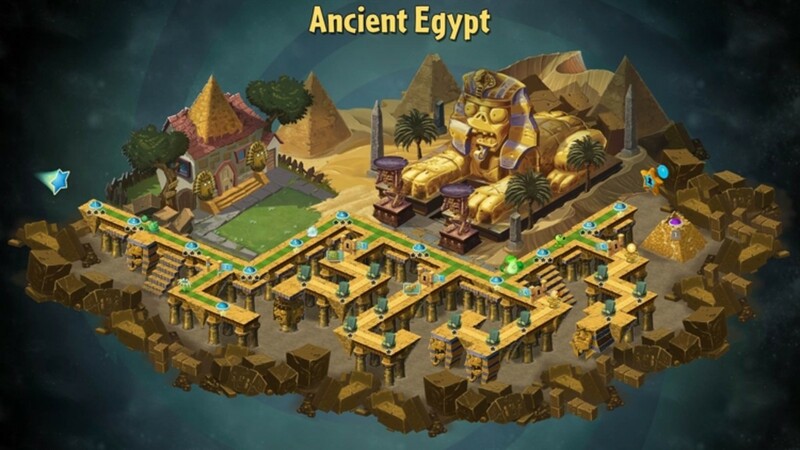 But that's okay; Ancient Egypt's levels typically aren't too bad. Use Iceberg Lettuce to extinguish torches, Grave Buster to take care of tombstones, and Bonk Choys behind Wall-nuts for anything else. Sun will gradually fall from the sky, but make sure to plant plenty of Sunflowers to provide Sun (which you spend on plants). If you get stuck on a particularly hard level, use your Zen Garden to upgrade a plant for one level, which will let it access its "Plant Food" effect whenever you plant it in that level. If you do this with Sunflowers, you can get incredibly high amounts of sun very quickly. And if you want to know just where in time you are, the levels occur in the year 2491 B.C. Say hi to Cleopatra for me! 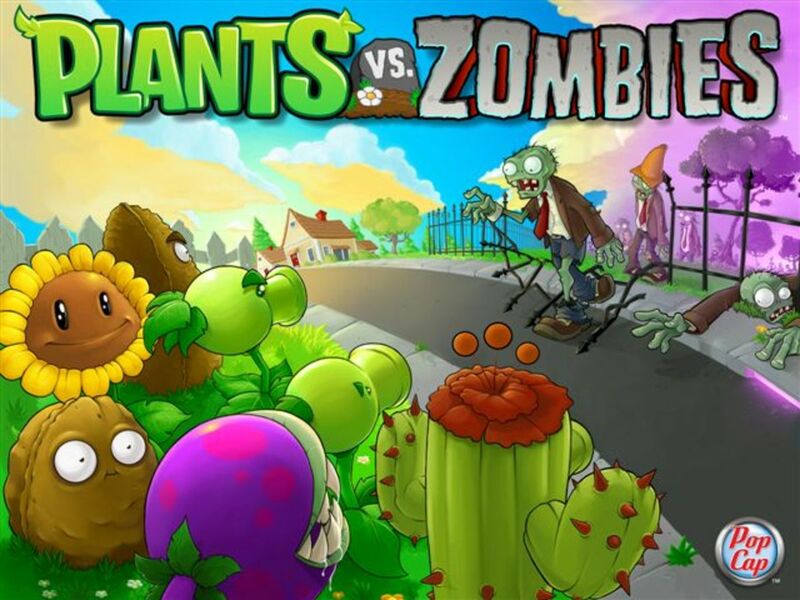 Notable enemies: Barrel Roller Zombies, whose barrel acts as a shield and crushes plants, and Zombie Parrots, who will steal a plant if not destroyed quickly. Next, we have the Pirate Seas, taking place in 1679. I guess even plants sometimes have to walk the plank. Speaking of which, some rows of the grid in these levels have planks, and others don't; the ones without them will have zombies swing in to attack. 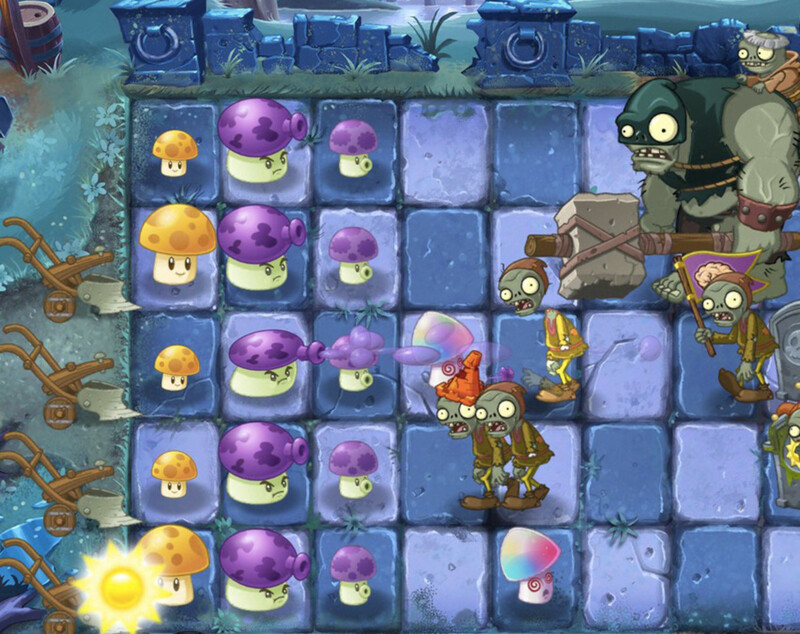 These rows are a little harder to defend, since the zombies enter farther down the grid; make sure to block their path with Wall-nuts and Spring Beans. 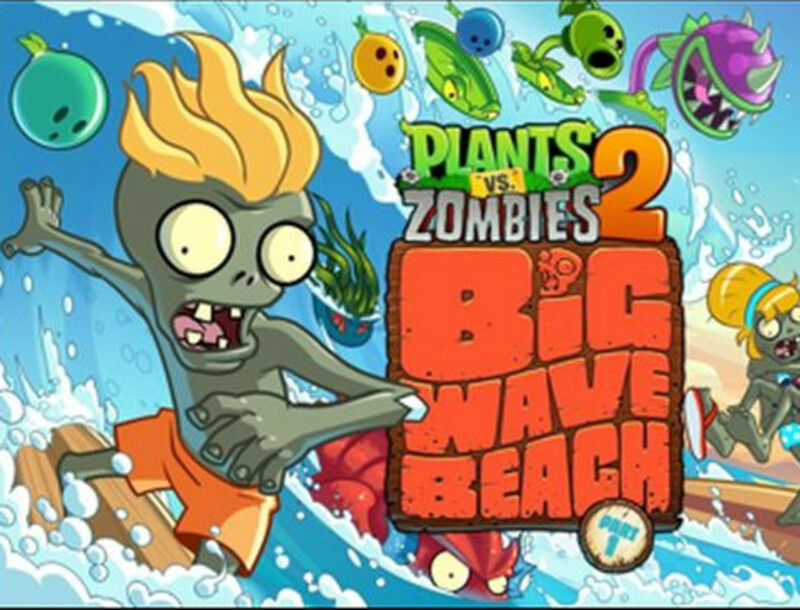 Spring Beans are an excellent and reusable way to send zombies into the ocean, and both of your new spike plants can destroy the barrels the zombies roll. Again, if you get stuck on a level, either progress in a different world to unlock new plants (Laser Bean would work well here) and upgrades, or utilize your Zen Garden to gain Plant Food effects. Keep at it, and no one-eyed, peg-legged undead is gonna eat your brains! 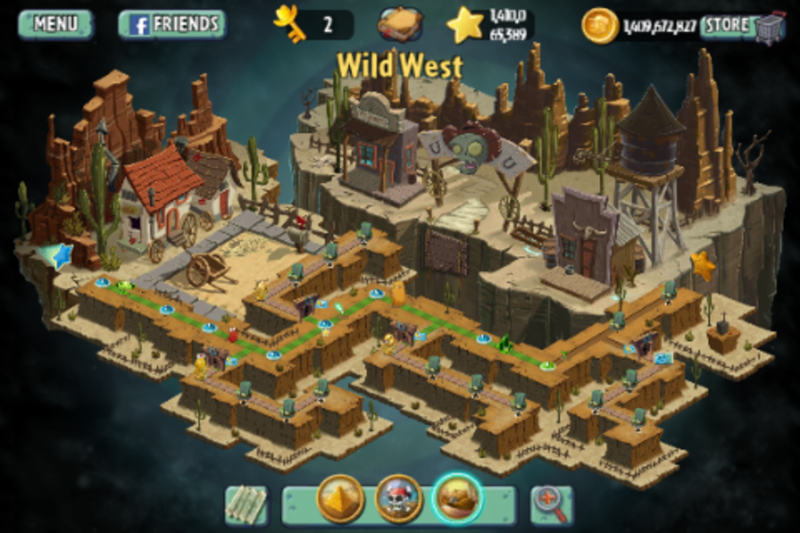 Wild West plants in battle. Notice the cart tracks on the left. Notable enemies: Zombie Chickens, who are fragile but fast and will swarm you, and Prospector Zombies, who will attack you from behind your defense when their dynamite explodes. 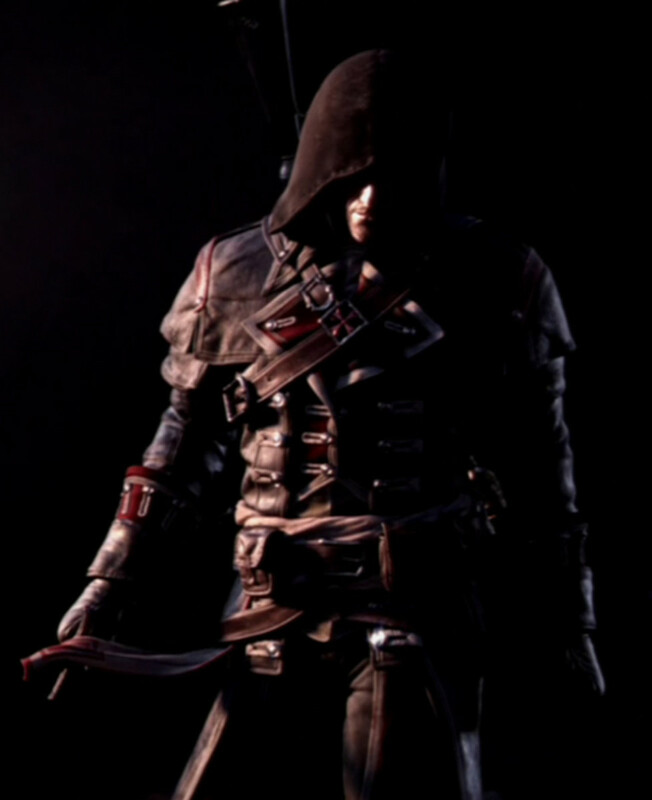 You've got quite a few new foes to tackle in the year 1850. Additionally, you can see some mine carts appear on the grid; these have pros and cons. They allow you to move any plant you place on them up and down a column, but the cart is the only spot you can plant in the column, greatly restricting your maximum number of defenders. Still, use their ability by placing a powerful plant, and moving it between rows to where it's needed. Winter Melons are great for slowing down enemies and extinguishing the Prospector's dynamite, and Lightning Reed helps take out multiple Zombie Chickens. The difficulty here is higher than before, so don't feel ashamed if you have to use your Zen Garden, or simply retry a level multiple times. Notable enemies: Mecha-Football Zombie, who knocks back a row of plants when it comes into contact with one, and Gargantuar Prime, who has every feature of a normal Gargantuar, and can take out plants from afar with lasers. My favorite world takes place in 2323. I like it because it gives a helpful bonus to each level: some grid tiles will have a color on them, and if you use Plant Food on a plant in a colored tile, plants in other tiles of the same color will also use their Plant Food effect. You can potentially get four effects for one Plant Food! Additionally, we encounter new challenging enemies and helpful plants. I'd recommend Laser Bean and Infi-nut for any world, not just here; contrastingly, E.M. Peach only functions in the future, but it's cheap and has a powerful effect. For most levels, use Laser Beans to hit multiple enemies, Winter Melon to damage and slow, and E.M. Peach and Cherry Bomb to take out the strongest foes. Try to position some Winter Melons or Sunflowers on the colored tiles so you can use multiple amazing effects from one Plant Food. Be very wary of Gargantuar Prime; try and take him out as quickly as possible. 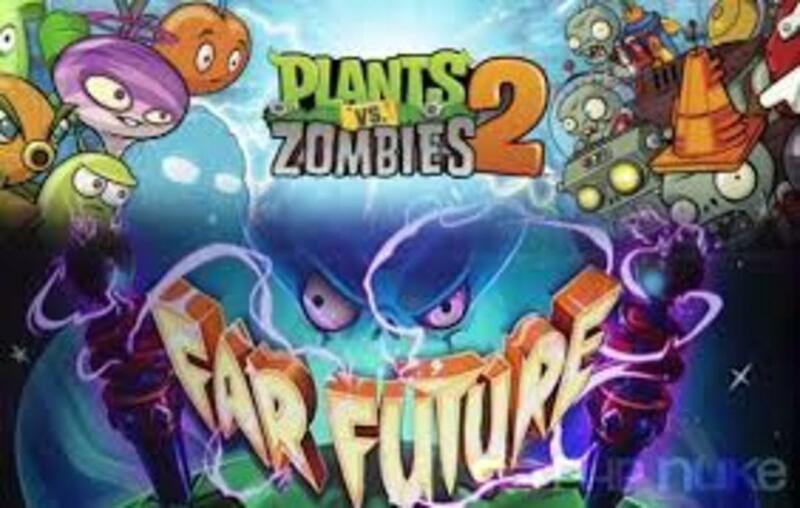 Not even future zombies are a match for your flora! 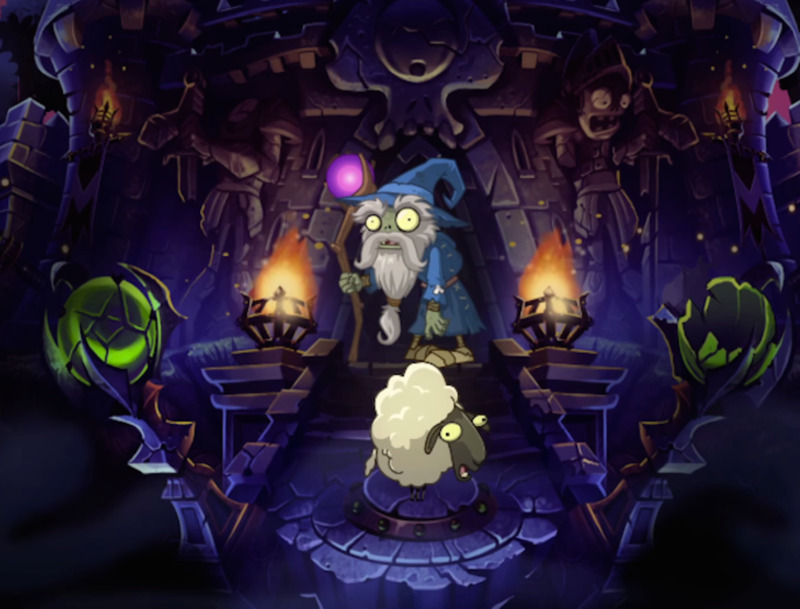 sheep until he's defeated, and Jester Zombie, who can deflect most projectiles. Unfortunately, this world, in 948, is my least favorite. Most of its new plants, except the awesome Sun-shroom, seem to be ineffective compared to other lawn guardians. To make matters worse, unlike other time periods, Sun won't gradually fall from the sky and you'll be strapped for funds. Additionally, annoying tombstones will pop up to block your projectiles. Cope as best you can. Use your new Sun-shroom here (and in other worlds) for cheap and efficient Sun, use Laser Bean or Bonk Choy to take out the projectile-reflecting Jester Zombie, and use Cherry Bomb, Puff-Shroom, or Winter Melon on Wizard Zombie. Also, note that Fume-shroom has a great Plant Food ability that damages enemies in a row while pushing them back. These levels can be tough, but take solace in the fact that there's only 20 of them. Notable enemies: Fisherman Zombie, who can reel plants into the water with his rod, and Octo Zombie, who can throw an octopus to render a plant useless. Who knew zombies could surf? Apparently, the 1960s did. You'll be glad to know that Sun falls again in these levels. However, you'll face a variety of tough new enemies, and even worse, you'll constantly have to plant Lily Pads or else your plants will get swallowed up by the tide! This stinks because Lily Pads will each cost a little Sun, and they take up a slot in your plant selection screen. Still, do your best. Try and take out Octo Zombies with Cherry Bombs before they can throw their animal. 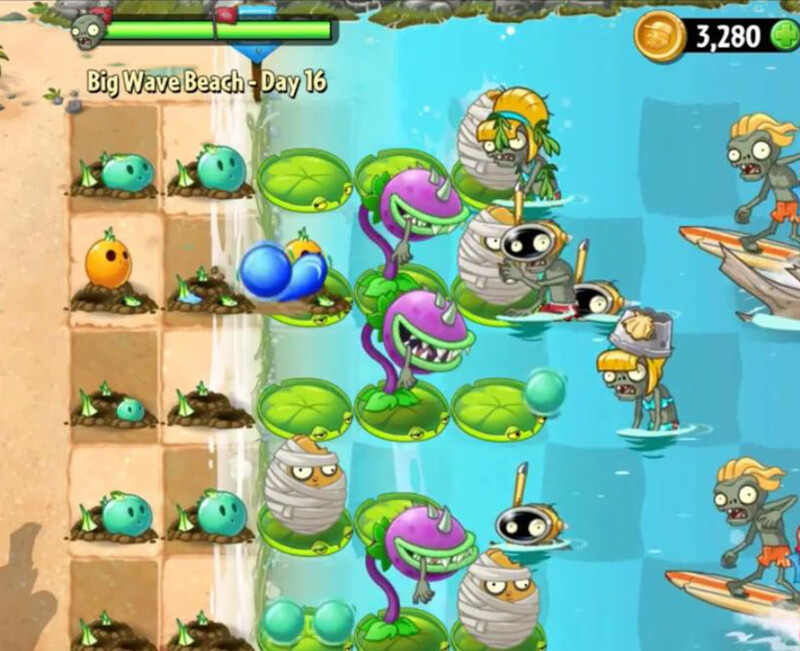 Use an Infi-nut's Plant Food effect to create a shield that completely block the reels of the Fisherman Zombie. Tangle Kelps are powerful and cheap (although they, like many of the new plants, work only in this world). If you get trapped, use your Zen Garden, and remember that Lily Pads can also be grown in the garden; their effect creates four more Lily Pads whenever you place one. 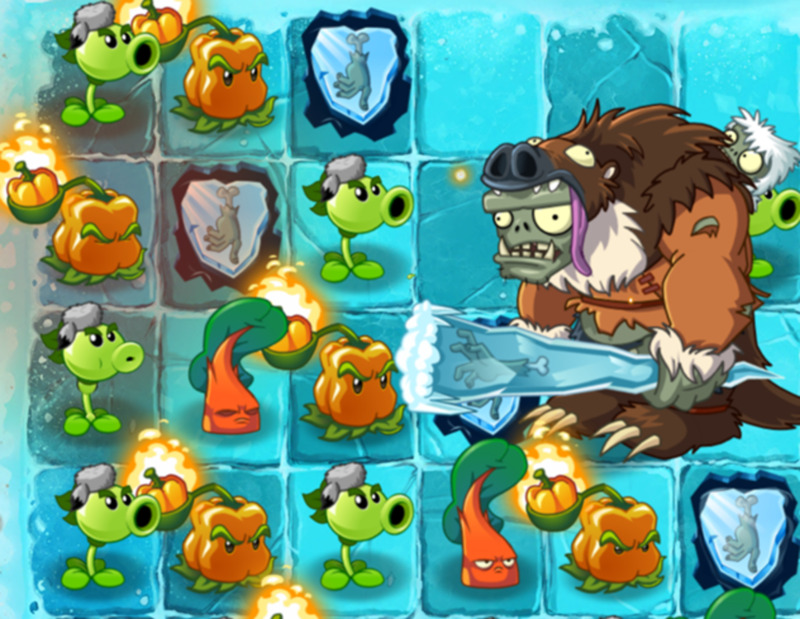 Notable enemies: Ice Weasel, who attack in swarms, and Hunter Zombie, who can freeze plants. Welcome to the chilly caverns of Frostbite Caves, existing some 40,000 years ago! The gimmick in this world is that certain grid squares contain ice blocks that will push invading zombies up or down one row. This is both useful and hazardous; it allows you to focus your defenses on certain rows, but by the same token, some rows can easily get overwhelmed. Additionally, you'll want to bring some Pepper-pults and/or Hot Potatoes to counter the chilling winds and Hunter Zombie, both of which can freeze your plants. Because you need the power of flames to defrost your plants, it's inadvisable to take the normally great Winter Melon, since its icy chilling effect will be negated when an enemy is struck by fire. Ice Weasels will swarm your grid, similar to Zombie Chickens, but with slightly more health and less speed. Laser Beans work well; they're just strong enough to take out each Weasel in a row with one hit. Chard Guards and Stunions are both welcome additions, and can help in other time periods, too. Compared to the previous two worlds, these levels seem a bit easier, but don't drop your guard or you'll have your brains eaten before you ever existed! 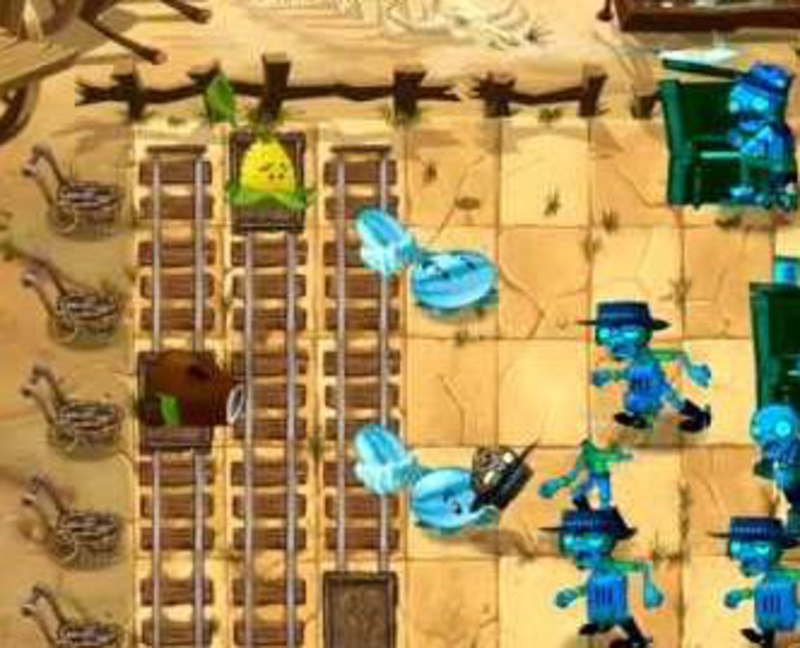 Notable enemies: Bug zombies, who quickly transport other undead, and Lost Pilot zombies, who enter the field past several of the first columns. We've been granted another world to explore! 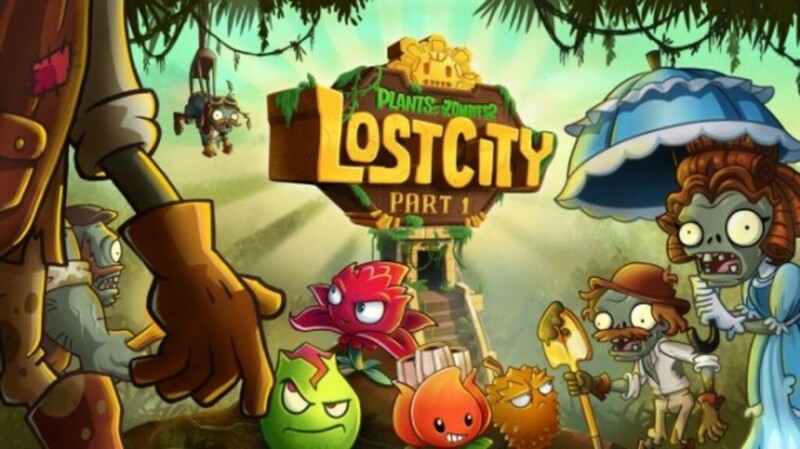 This time it's Lost City, set in a Mesoamerican civilization during an unspecified date. You'll receive five new plants during your travels. 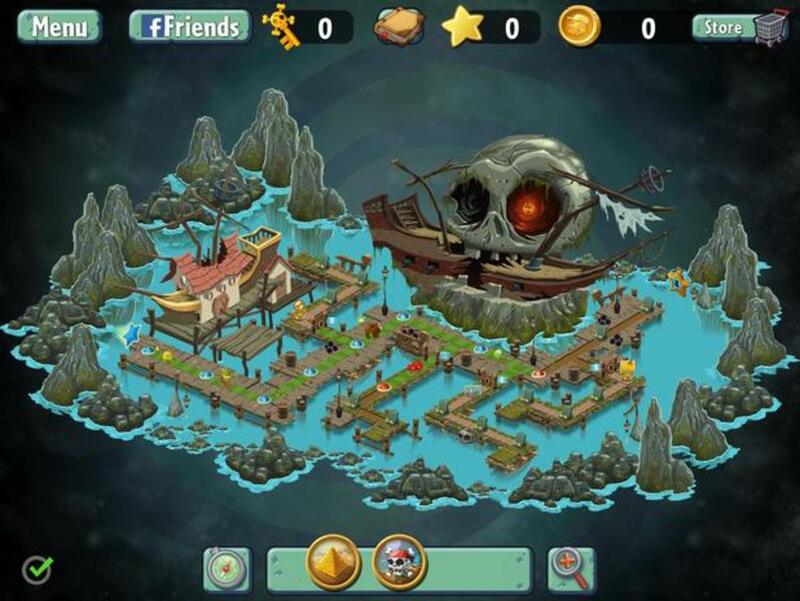 Even better, Lost City levels contain unique "Gold Tiles". Place any plant on them, and they'll gradually produce Sun, making it a breeze to use your most-expensive defenders. 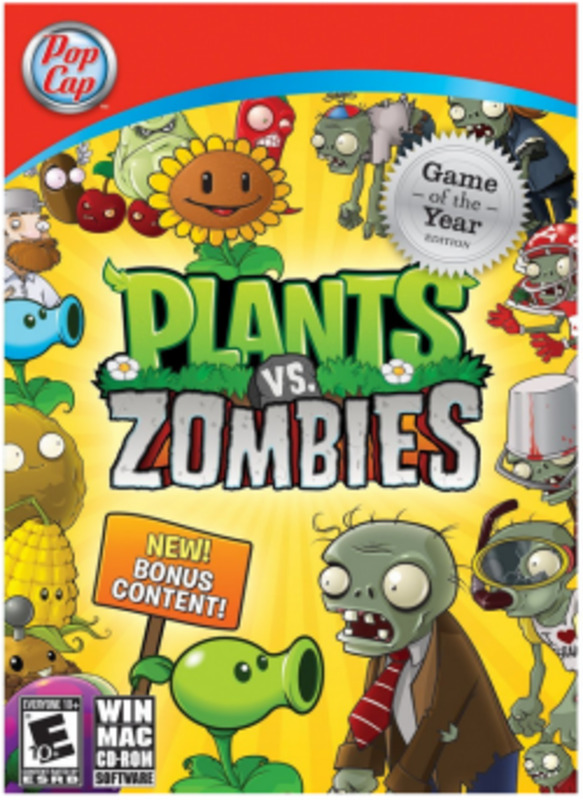 However, beware the new "Trap Tiles", which will activate a plant-destroying effect when a plant or zombie comes into contact with the tile. New enemies include the annoying Lost Pilots, who bypass some of your defenses. Consider including plants that can attack backwards - Split Pea's a good choice. Also, watch out for the annoying Turquoise Skull Zombies. These guys use their crystal skull to permanently steal your Sun before you can collect it, and they can incinerate plants up to four squares ahead. Hurry and defeat them while they're busy collecting Sun. But despite the new dangers, make good use of your Gold Tiles in Lost City and you'll conquer this time period before you know it. Which world do you have the most fun with? I hope you've enjoyed this quick review of each world. If you really get stuck with a level, remember to use your Zen Garden or try a different assortment of plants! 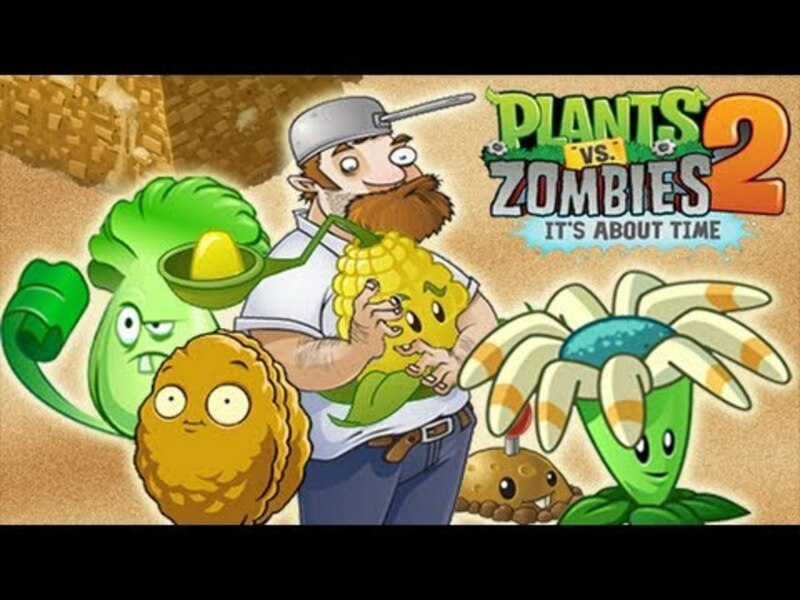 For more advice and trivia, take a look at the top 6 plants from Plants Vs Zombies 2; alternatively, see which ones to avoid. Thanks for reading! According to the game, Hunter Zombie is actually a vegetarian. Strange, isn't it? We must tell no one. Tablets can also play the game, I believe. That might hold you over until a pc release. Its 2 hard to play on android device, waiting for pc release. Thank you, Rob, I appreciate that. And Hezekiah, it's a fun game that can be played for free on your phone. Feel free to give it a try and see if you like it as much as I do! Thanks for the guide, never really noticed this game until now lol. 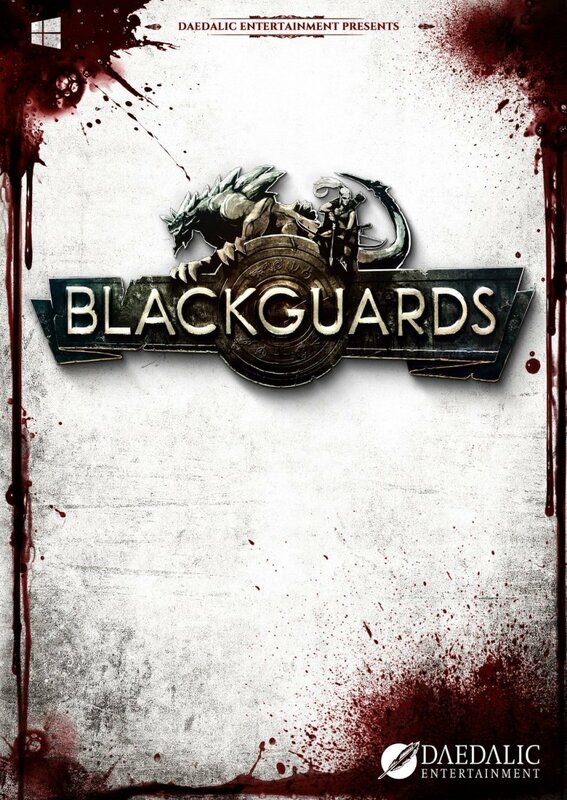 Awesome article for an addicting game. Good hub!